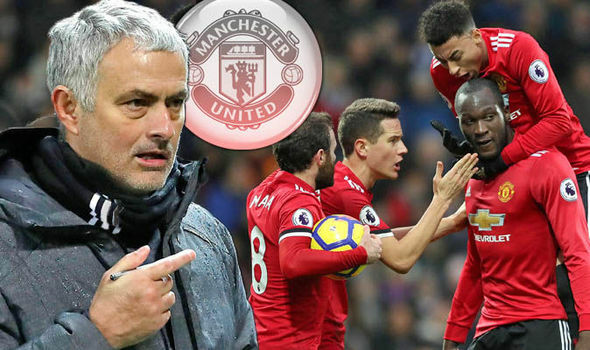 Romelu Lukaku did not celebrate his goal against former team West Brom due to his love for the club, according to Manchester United manager Jose Mourinho. Lukaku opened the scoring in United's 2-1 win at The Hawthorns on Sunday, heading home Marcus Rashford's left-wing cross. But the Belgium international refused to celebrate his 10th Premier League goal of the season despite being mobbed by team-mates, leading to post-match criticism from television pundits Gary Neville and Jamie Redknapp. And Mourinho defended Lukaku, who scored his first Premier League goals at West Brom in a successful loan spell from Chelsea as a teenager. "I didn't celebrate too — and nobody was happier than me," Mourinho told Sky Sports. "I'm happy with the victory but, 15 years ago, I look at myself — how I used to celebrate goals. With maturity you control your emotions better. Unless you score a winning goal in the last stage of the game. "But basically, Romelu had the fact he was a happy kid at West Brom. He was given the conditions to have the evolution he had, so maybe at the back of the mind it was his love for the club." West Brom remain winless in four league games under new boss Alan Pardew, although they at least scored the first goal of his reign thanks to Gareth Barry's consolation. And the former Newcastle and Crystal Palace manager accepted responsibility for his side's 2-1 defeat to second-placed United, with West Brom having lacked energy prior to a strong finish. "The team I picked —in hindsight it wasn't the right team and I should have put some fresher legs in. They had put in such a shift at Liverpool [in Wednesday's 0-0 draw] and I wanted to show faith in them, as their new manager. "But maybe I should have made two or three changes. We looked leggy and not up to the ball. But in the second half we were a lot better and had a lot more conviction in our play. "We had a full stadium, playing Manchester United, and we didn't ever get the crowd going. The crowd, quite rightly, were fairly quiet today and that was down to us. When you're at home, you've got to generate more excitement — more moments — than we did today.